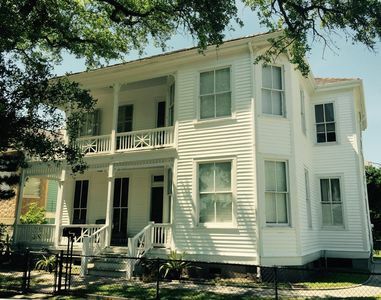 GREAT GALVESTON GETAWAY! 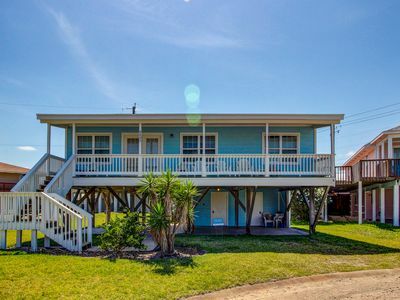 STRESS-FREE BEACH VACATION! 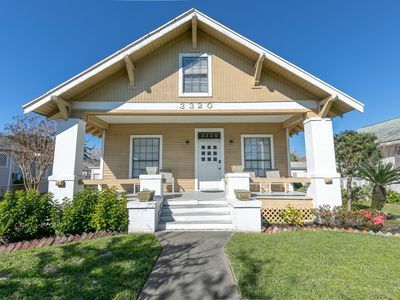 Only 40 minutes from Hobby Airport. 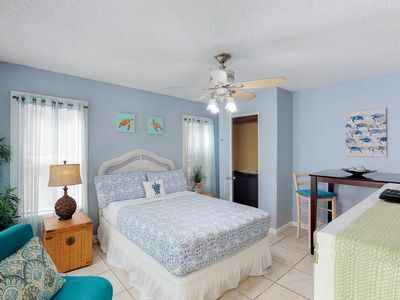 Enjoy a stress-free vacation in a beautiful, fully-furnished and supplied, luxury condo in a 5-Star Resort property with gorgeous ocean views. 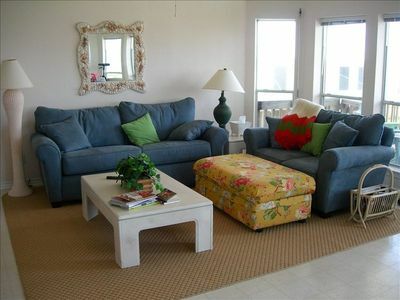 This 3-bed, 2 bath unit is comfortably furnished with a king, a queen, 2 full-size beds and a queen-size sleeper sofa. 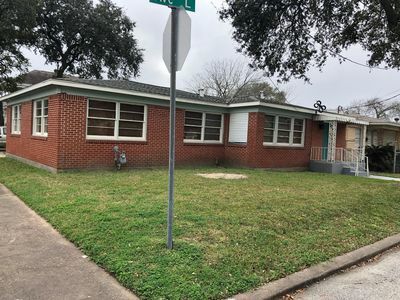 (There is a six-person maximum occupancy unless prior written authorization is obtained, but ASK ABOUT A SECOND 5TH FLOOR UNIT AVAILABLE FOR LARGE GROUPS.) 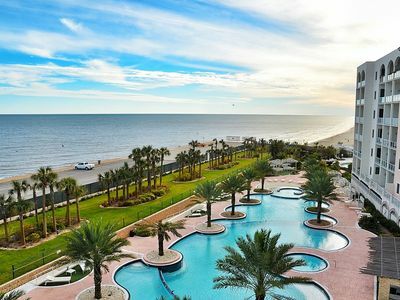 There are stunning 5th-Floor views from the condo of the Gulf of Mexico, the beach and the gorgeous Diamond Beach Resort. 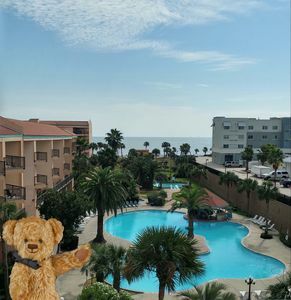 The Resort has beach access, an enormous beautifully landscaped pool with a lazy river and slide, a heated indoor pool, onsite bar (seasonal hours), theatre room, game room and a fitness room to rival any health club. 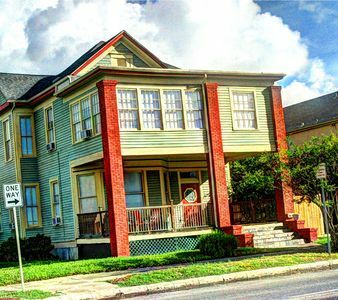 You would never have to leave the property, but you will want to experience all that the City of Galveston has to offer - fine dining, historic properties and museums, Schlitterbahn Water Park, Pleasure Pier amusement park, live theater at The 1898 Grand Opera House and shopping on the Historic Strand. Weather concerns? Not a problem. 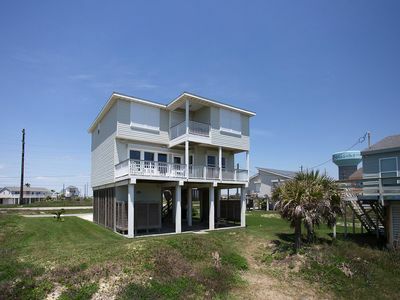 The unit has 4 huge, flat-screen, Smart TVs, a secure wireless network and expanded cable. Take advantage of the indoor pool and game room until the sun is shining again. Traveling with kids? Great. A full-over-full-size bunk bed will make them happy. In addition to expanded cable services and Wi-Fi, there is a DVD player and board games in the unit. Downstairs, there is the game room with free-play pinball and basketball games. The lazy river and slide (seasonal hours vary) will provide hours of entertainment. 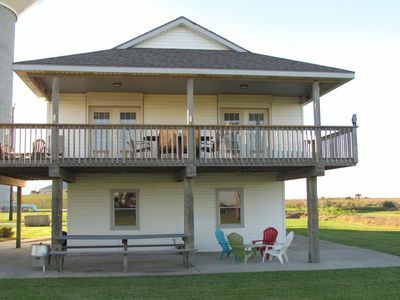 For small children, there is a bright, beautiful playroom on the property. Do you need to mix business with pleasure? 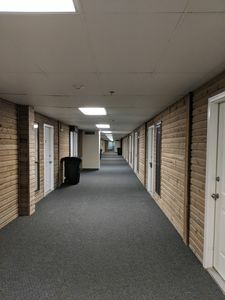 The secure wireless connection in the condo will allow you to use your laptop and wireless devices. The resort has a business center with computers. 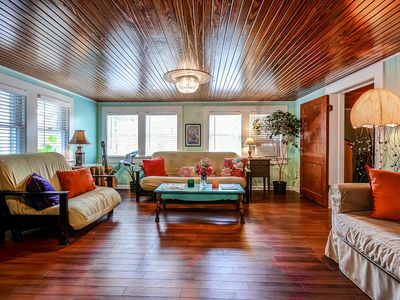 You can entertain and meet with clients in Bar None or the Wine Room. 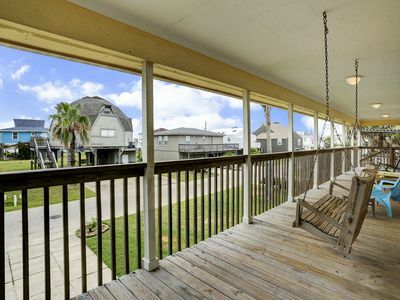 Galveston has an abundance of highly-rated restaurants, but if you want to prepare meals, the condo is fully-supplied with anything you would need (except your groceries). 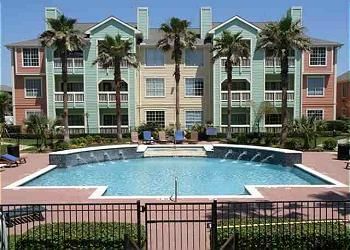 Finally, you can relax knowing that there is 24-hour guest services and security at the Diamond Beach Resort. 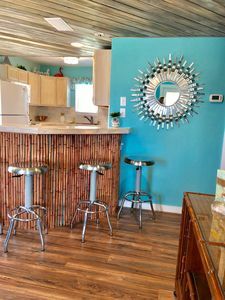 Also, the owners are local residents and business owners who will be available to immediately address any issues that may arise with your vacation rental. Best Rate! 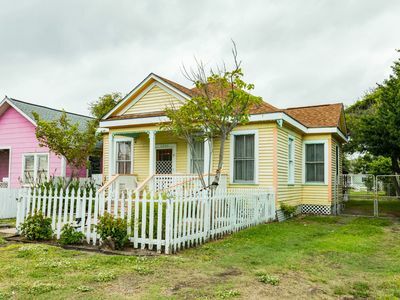 Historic 1BR Galveston Bungalow! 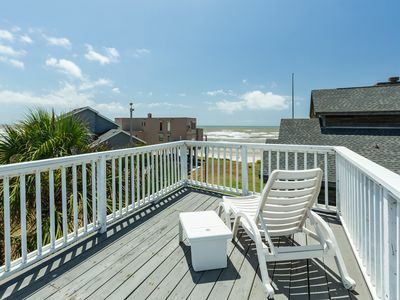 Penthouse View of Ocean & Pool on Seawall Blvd - Beautiful Deck/Family Friendly! 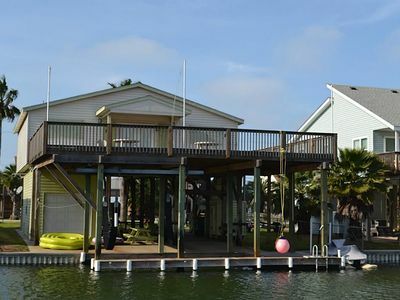 Dog friendly, new boat lift, FREE Wifi, and kayaks, and SECOND canal from Bay! 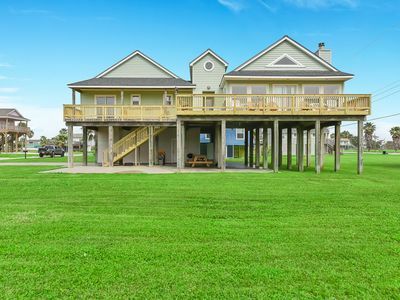 Bayfront dog-friendly home w/ water views and dock access! Czech Inn - Bermuda Beach - Once you Czech Inn you wont want to check out! 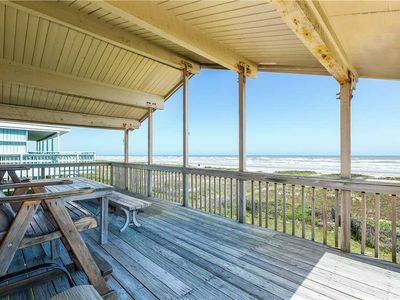 “All Decked Out” Deck for Days and Beach Views for Miles! !